Next stop – a solution. While popping pain relieving drugs on a regular basis isn’t really my thing, I wanted to find a different solution. Don’t get me wrong, I take some sort of pain medicine a few times a month – like those times when my headaches are so bad I can’t even function. But I wanted more of a solution, not just a mask to the real problem. Problem = artificial blue screens! A little research on “computer sourced headaches” brought me to GUNNARS Optiks, a trusted company for anti-headache computer eyewear! GUNNAR Optiks (uh… Optics?) 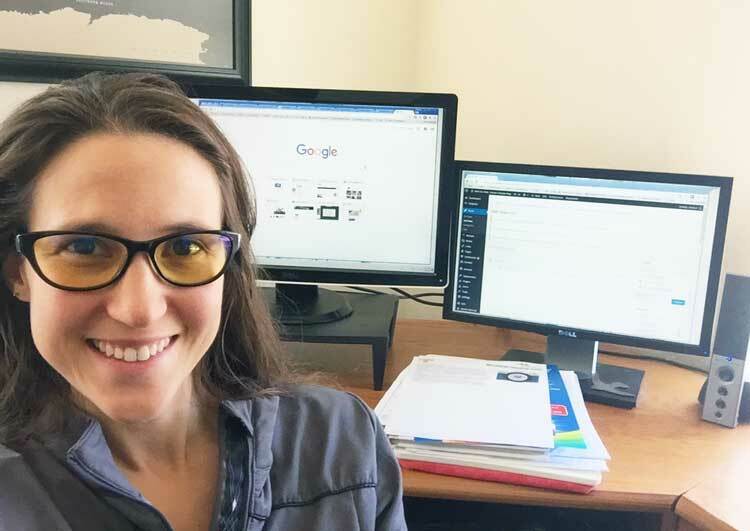 “is a technology company that develops digital performance eyewear for enhancing the computer viewing experience.” GUNNAR Optics designs eyewear to reduce eyestrain when viewing computer screens or electronic digital devices. With a concern for eye vision health for future generations (whom spend massive amounts of time on the computer and other devices), GUNNAR Optiks was started in 2006. Their lens technology is patented and they continue to do research on visual interaction with digital screens. They have a variety of eye wear in many shapes and styles including prescription, non-prescription, computer styles, gaming styles, readers, sunglasses and more. 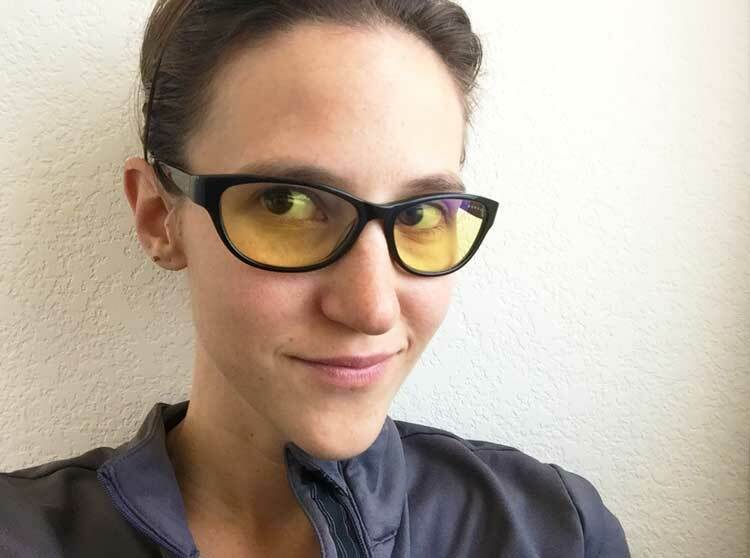 When I first took them out of the box, I thought, “I have seen people wearing these before!” I have always wondered why some of my passengers on my flights were wearing lightly tinted yellow glasses – and I guess they wear them for the computer or light sensitivity too! When I first put them on, I noticed everything was a little brighter and more vibrant. Looking out on these lenses, I saw things with a bit of a yellow-tint, but not extremely yellow. It is hard to describe, but sort of like adding a subtle Instagram filter to everything you see. Well, I could spend a lot of time debating which Instagram filter it looked most like, but I had lots of computer work to do on the blog! So, I spent the rest of the day wearing these glasses. Then the rest of the week. And I am still wearing them now as I type. Also, in addition to these headache glasses, I have been hydrating my eyes too. Someone told me that even if your eyes don’t feel dry, they might be dry if you are getting regular headaches that seem to stem from your eyes. 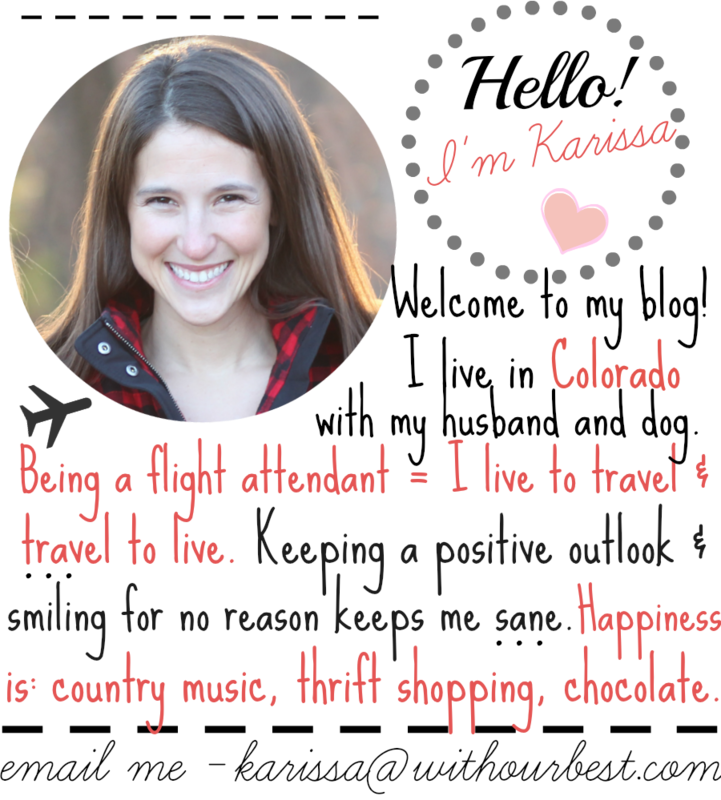 Well, being in Colorado (dry air) and being a flight attendant (dry air) I couldn’t believe I didn’t think of that first. So obviously I like these computer eye glasses. And here is why: they seem to calm my eyes down. My eye strain isn’t like it used to be. My eyes just feel more relaxed. It wasn’t right away though. It took some time. In fact, the first time I wore them I was kind of irritated with them (not having worn glasses for 5+ years.) I couldn’t wear them all day. But I insisted on trying them day after day because the headaches I got from screens were sometimes debilitating. The longer I wore them, the more used to them I got and the less I noticed them. It came to a point where it would actually feel weird not wearing them when I was on the computer! The GUNNAR glasses I reviewed are the Joule computer glasses. They feature handmade materials, the patented GUNNAR technology and have a cutting edge fashion design. They are a classic cat-eye lens (which work well with my “heart shaped” face) and are amber tinted. They are lightweight and tight fitting. 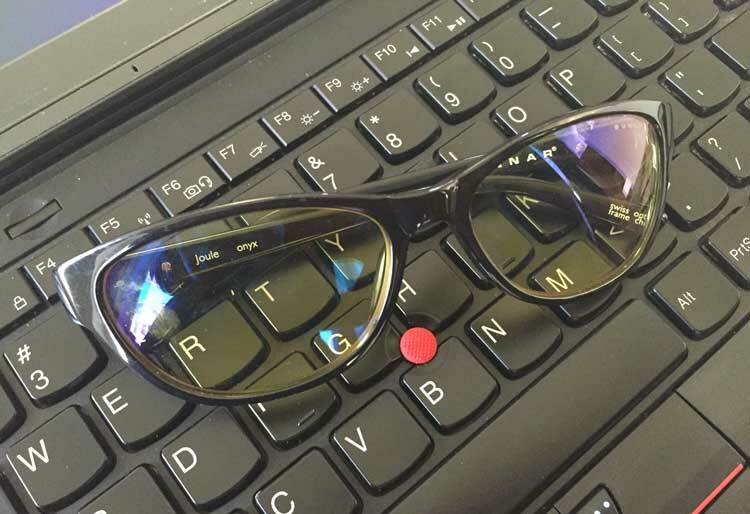 Who Should Get These Computer Screen Eye Glasses? If you get headaches on days you are using the computer a lot – you should get these glasses. 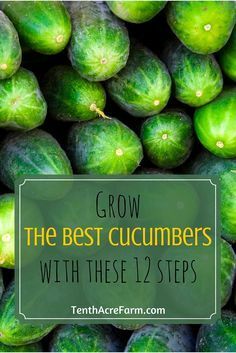 If your eyes are tired and exhausted and you need a solution because you can’t take it any longer – you should look into them! If you are patient and can give them a good week or more trial period without assuming they don’t work – you should get them! These glasses might not be for everyone, but for me they were worth a shot. They are $69-$149 for non prescription. 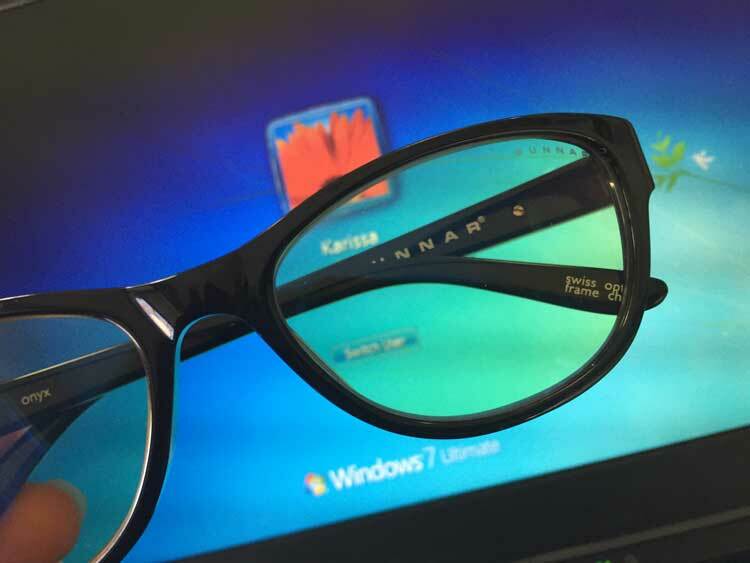 If you have prescription glasses they range in prices a lot higher than that through GUNNARS website or through approved eye care professionals. If you wear prescription contacts, you can save a buck by wearing your current contact and wear the non-prescription GUNNARS glasses. 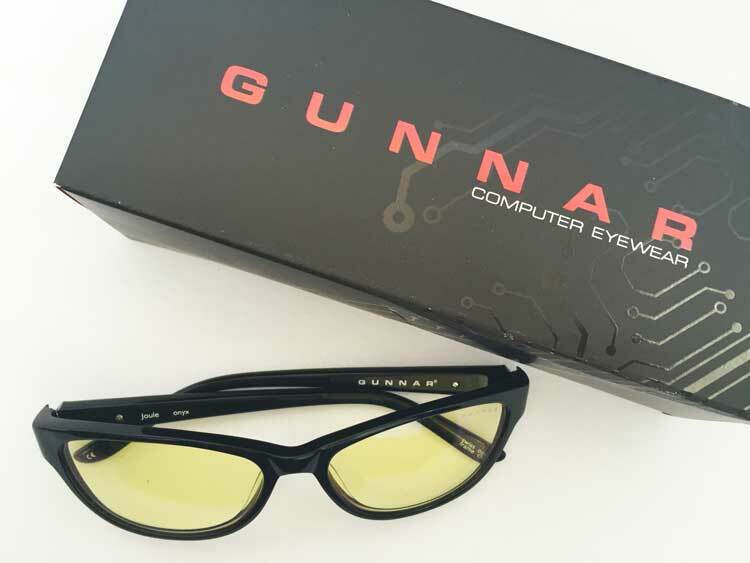 In my opinion, the price for GUNNARS glasses is a small price to pay for the reduction of daily vision fatigue and eye soreness.